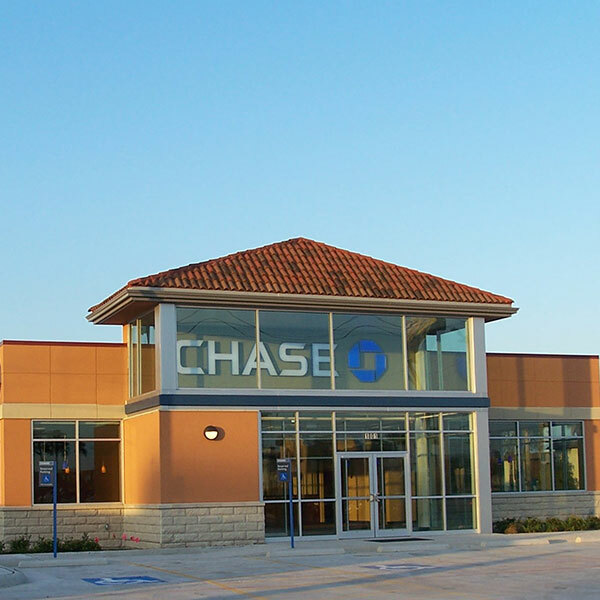 This Chase Bank building is a 4,200 sf structure with exterior sheathing over wood framing. The project included an EIFS exterior finish with stone wainscot chrom sole sourced in Chicago. Alucobond panels were added in the vestibule. 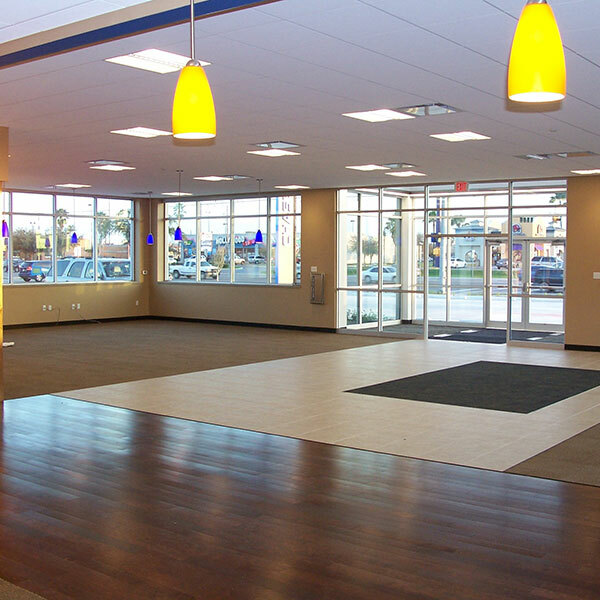 The team installed HVAC split system, plumbing roof drains, electrical fire alarm, data/cabling and security rough in. Upon completion the owner requested that Journeyman re-construct the vestibule with a new concept. The revision process included the removal of the top half of the glass curtain wall vestibule and reconstruction of the area with sheathing board and an EIFS finish. The work was completed in two weeks. 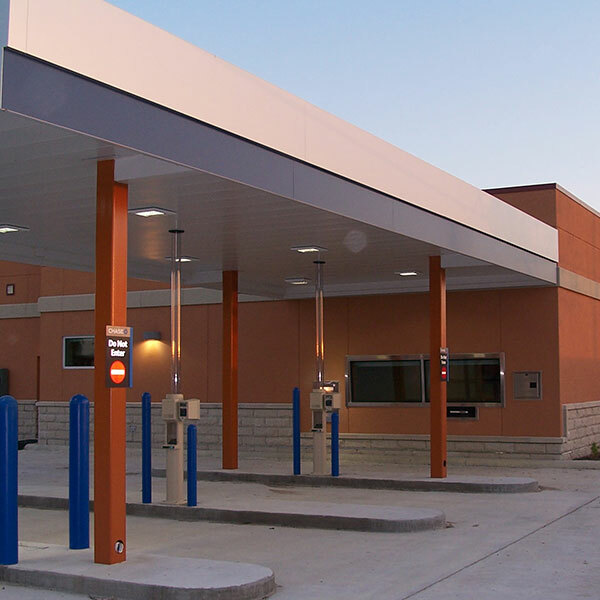 This project was completed in 99 days and within budget.